Boat Description The Lowe Roughneck R1655TN standard package includes your choice of outboard (up to the boats maximum rated hp)* and optional trailer selection. 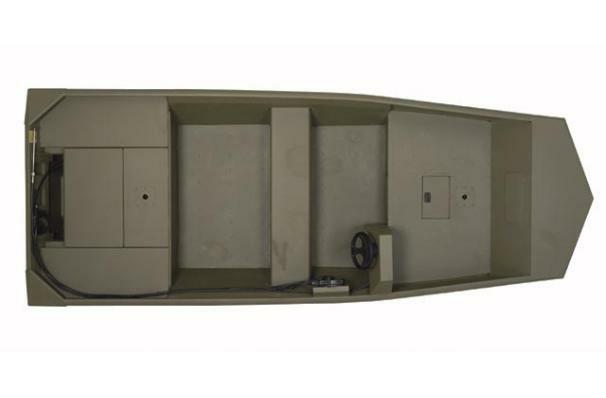 Important features include: tunnel hull, optimized for jet outboard application, two pedestal seat bases, receiver gunnel, full aluminum floor liner and extended bottom skin for fine tuning running qualities. Optional saddle fuel tanks with jet outboard to enhance weight distribution. Engine Notes Max horsepower - net jet HP rating applies against capacity plate, not power head HP.